A research team at the University of Plymouth is currently undertaking a mixed method exploratory study which examines registrants’ experiences of the Nursing and Midwifery Council (NMC) revalidation process to identify how best to engage students in preparation for this professional requirement. The intention is to enhance employability and professional practice by promoting a pedagogy which inspires positive attitudes to lifelong learning and scrutiny by self and others. 1. An online survey – data collection and analysis was completed in June 2018. 2. Focus groups to explore issues raised in greater depth – this phase is currently in progress. View the Full Report and Executive Summary from the online survey. Fisher, M., Archer, J., Child, J., Clarke, R., Griffith, J., Pearce, S., Smethurst, Z., Wenman, S., Williamson, G., 2018. The Reality of Revalidation in Practice (RRiP) Project: Phase One Report. Plymouth: University of Plymouth. Fisher, M., Archer, J., Child, J., Clarke, R., Griffith, J., Pearce, S., Smethurst, Z., Wenman, S., Williamson, G., 2018. The Reality of Revalidation in Practice (RRiP) Project: Phase One Report (Executive Summary). Plymouth: University of Plymouth. This project has been developed through consultation between NMC registered academics and clinicians in the University of Plymouth placement footprint, students on pre-registration programmes and a medical colleague who led on the national evaluation of General Medical Council revalidation. 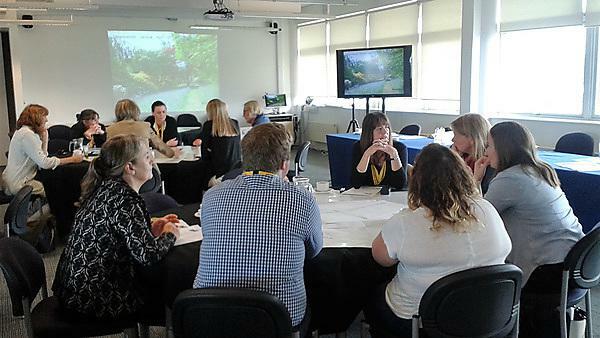 It follows two very successful revalidation events at the University of Plymouth: a conference held in April 2016 to coincide with the launch of NMC revalidation and a seminar held in June 2017. Collaboration with Jackie Smith, the incumbent Registrar and Chief Executive of the NMC, took place for both conferences, and she has praised our activities and project. We are continuing to keep the NMC informed of progress. If you would like further information about our project, please contact the Principal Investigator, Margaret Fisher or telephone +447815527989.